I didn’t think it was that bad. Am I alone? Hello? Bueller? Bueller? I think this is one of the best sketches for a while, and I can’t really explain why. 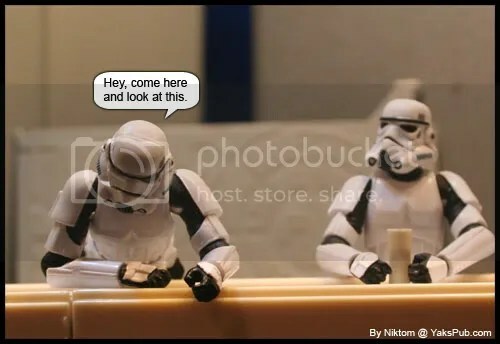 Hey, every single week is a special week, so don’t speak in that way trooper! Well, you can’t hardly blame them. This week marked the return of Jar Jar abuse and a link back to a really disturbing Jar Jar ipod moment and a screen test joke that I didn’t get. 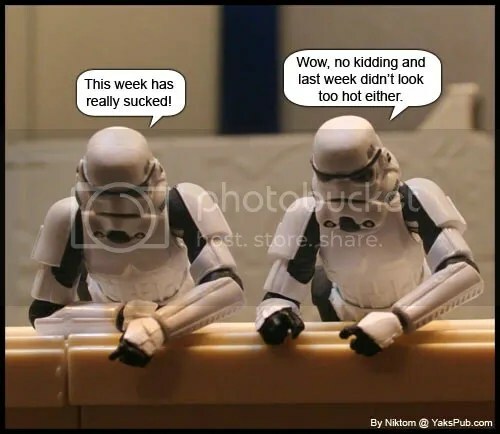 But I agree with RebelTrooper1138 that this strip, “Week in Review” is a good one.